rubber wrist strap, ■ Supplied accessories may vary by region or country! This all-weather camera is ready for anything. 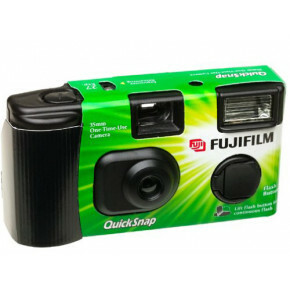 It's ideal for shooting outdoors in wet and snowy conditions, and even operates up to 10 feet underwater!The FUJICOLOR QuickSnap Waterproof is desined to make a splash with marine sports fans. 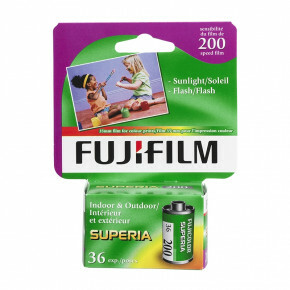 Loaded with high-speed, fine-grained SUPERIA 800 film, this waterproof camera lets you take photographs in and on water or elsewhere, even on overcast days. 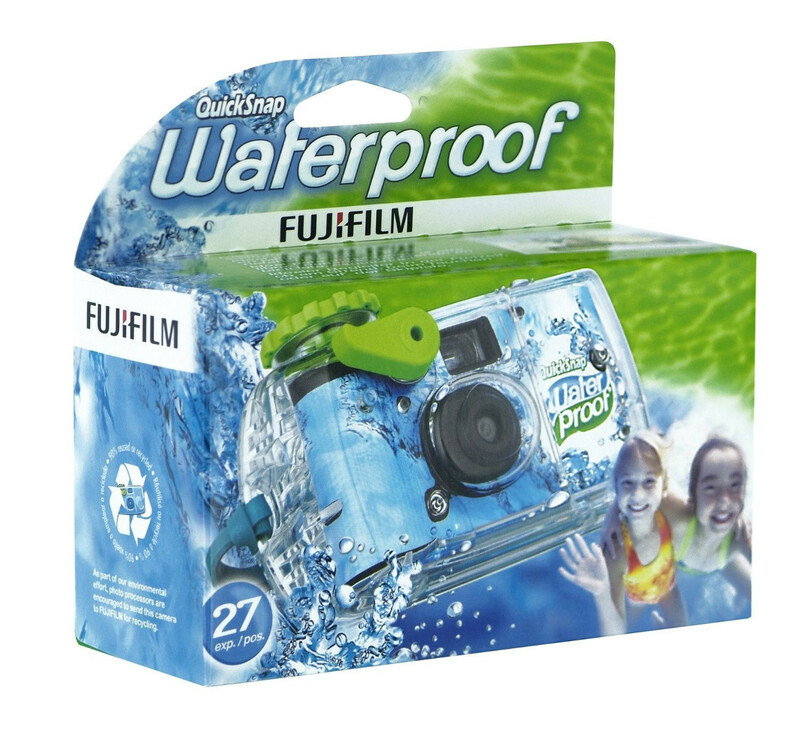 The perfect companion for beach, field and stream è anywhere an ordinary camera might be damaged by moisture or excess humidity. 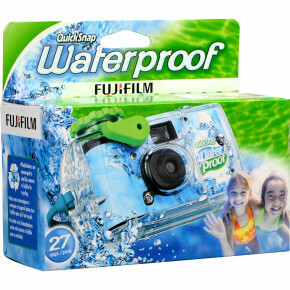 The QuickSnap Waterproof lets you enjoy water sports, skiing, fishing or climbing.